The photo is from the Library of Congress. 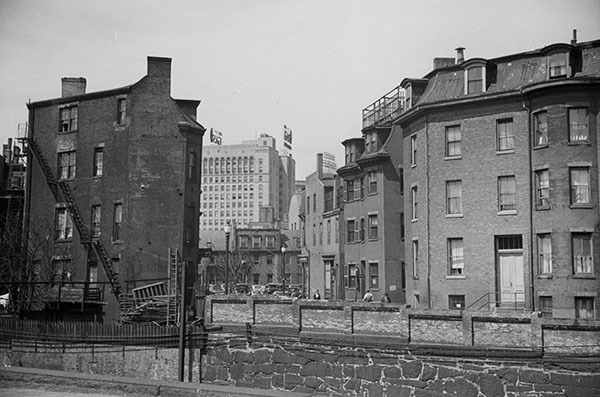 I don't know if it even Boston, but it reminds me of the treeless hardness of Charlestown when I lived there in 1971. Download Jerry's Song as an mp3 file. Walks a big smiling kid named Jerry. And Brandi she’s a fine girl. Jerry can you sing us back together again? Jerry can’t you sing it all back again? Jerry’s not singing any more. Then Jerry walks off to a lonely home. Revenge is his only song. That’s the end of our little home.